The services that are provided by the department include, but are not limited to, software development, state employee desktop computer support management, electronic security, and basic telecommunications infrastructure support for all other state departments. Each department receives funding for information technology services and projects and this money is paid to the DIT for services rendered. This report does not include a detailed analysis of these operations, and therefore no program changes are recommended at this time. Act No. 528, Public Acts of 2002, p. 5. 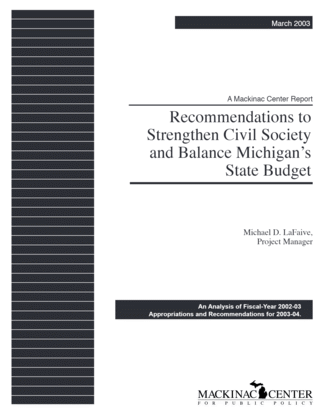 Michigan Manual, 2001-2002, “Department of Information Technology,” Legislative Service Bureau: Lansing, Sept. 2001, p. 507.